A good content marketing channel plan makes you stress free from the constraints of any one content channel. The content strategy defines your channel strategy, here is a blog talking more about content strategy and how channel is important when content it comes to content. 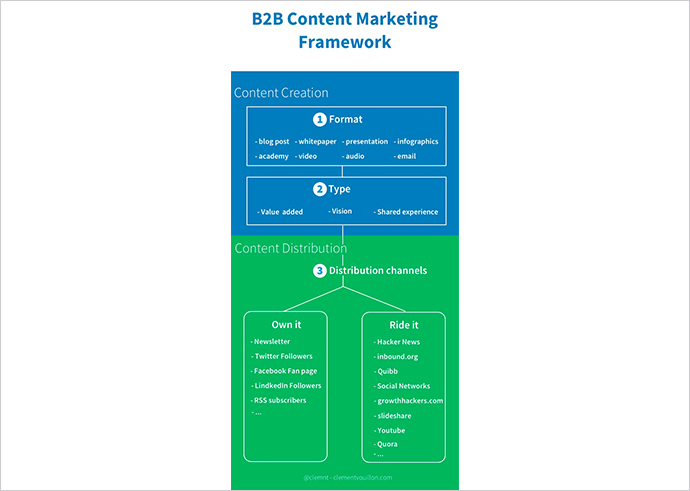 Our previous blog spoke about the basic metrics you can use while preparing a content marketing framework. We need you remember that, it is not just the idea, but also the way an idea is being promoted, matters. Distribution channels play an important role, when it comes to content marketing. The Content Marketing World event #CMWorld 2015 saw some amazing insights from global content marketing experts. One such is that of Jay Acunzo from NextView that talks about the importance of content distribution. So here we are sharing about the importance of channels. There are three types of content – owned, earned and paid. Here is why channels are important. Once you are ready with the stories to share with the world, identifying the right channel partners is equally important. As much as emphasize is put on creating boundless stories, it is essential to understand how and through what your audience is consuming the content. Due diligence of all channel partners identifying one that is the most effective. Once the channel plan has been established, it has to be re-evaluated over the course of time to meet the demands of an evolving brand. Co-ordination among team members is essential to get the editorial plan in action with insights from every team member. Performance and metrics should be identified around each channel partner. Measurement goals have to be clearly defined around each target audience within each channel e.g. : Fan numbers vs. traffic numbers vs. clicks etc. Check out this B2B framework developed by Clement Vouillon. It will give you a greater understanding on how to distribute content. Identifying high energy individuals to execute these aforementioned tasks is equally important as making them. This means establishing roles and responsibilities, gathering implementers, creating guidelines and schedules. This set-up is all worth it because your stories deserve the best. During the process of executing these steps, there will be several questions harboring in one’s mind. These questions need to be addressed immediately. The kind of style and writing guidelines? Effective time slots for posting content? Reaching out to the community through different channel partners? 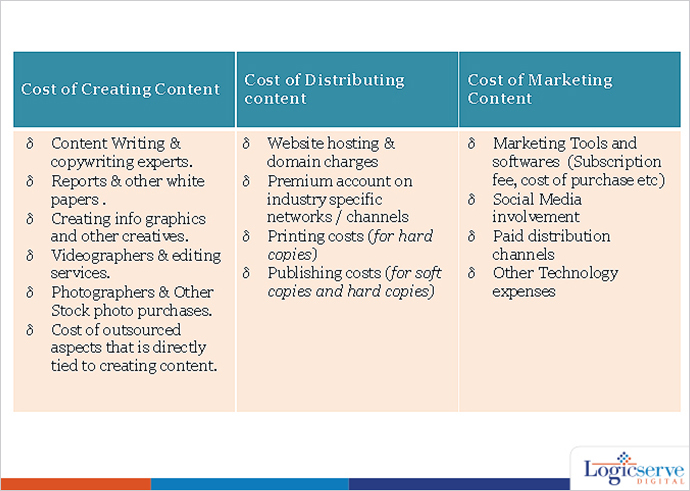 An important aspect of this is the costing that goes into creating content. An earlier post by us will give you a clear detail about it. You can read it here. The process you use to execute your content marketing plan will be unique and will define your own terms. It is your own story that makes it different and stronger than others. The execution plan remains incomplete, in spite of creating a robust content, assigning the best team and implementing the best processes. The one key element that needs to be nurtured is the connection with the target audience. Creating a bond or connection with the consumers is an important goal for content creators and the team. A meaningful conversation must take place to disperse your story and touch many hearts. Creating content has naturally been one-sided, wherein you know what you want to convey to the consumers because that is more or less the story they want to hear. Your story is presently a discussion that needs a group of people to react. Be the pioneer in your industry to create conversations and connect with the audience. In any case, “The initial step is to build up listening post and understand where discussions are happening. Then, be honest: Do you have the capacity to react to all discussions as they happen, in straightforward, in an unbiased manner? The procedure of setting up listening posts, also adding to a technique for reacting to discussions, can be to a great degree overpowering to organizations, particularly with plenty of discussions that occur on the web not grabbed by Google Alerts. Establish the conversations you want and that you can involved with. Listen to what the audience are saying and decide how you want to respond to them all. LogicSpeak: These parameters will help draw a content marketing strategy that can be fairly successful. However, while preparing the strategy one can keep the process flexible and chose what will work for their brand.